Well regarded by industry, the CIT Diploma and Advanced Diploma of Graphic Design are full-time courses that offer sound instruction in visual communication and the right skills to start your career as a graphic designer. You will develop design concepts and produce designs that meet client's needs for a range of visual communication outcomes, either for print-based design work or digital media-based design. The Diploma course will develop in you a sound understanding of design theory and practice how to analyse and integrate information from a range of sources to generate original designs for a range of different projects you may undertake. As you progress to the Advanced Diploma, you will enhance your abilities and experiences at developing design concepts and working on more complex and technical design and visual projects, through working in teams, as well as showcasing your negotiation and organisational skills through the creation of effective work and production processes. Projects may include corporate branding, packaging design, publication design, web graphics, websites, 2D animations and a public exhibition of your work. Real industry experience (placements) are encouraged and supported by local industry. 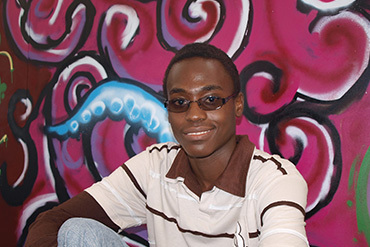 You can choose to specialise in either print design or digital media design, or both through further study. The program includes up to 120 hours of industry placement in the 4th semester. The placement is unpaid, though coordinated by CIT staff. Students receiving credit with a Diploma of Graphic Design from another institution may need to enrol into CIT's Advanced Diploma for 12 months. Students will be advised on the duration as part of the assessment process, so please ensure all academic transcripts are provided with the application. Description: This unit describes the skills and knowledge required to research visual communication history and theory and to apply that research to own professional practice. It applies to individuals who are visual communication professionals. They carry out research independently and use information to provide context, inspiration and reference for contemporary design solutions. No licensing, legislative or certification conditions apply to this unit at the time of publication. Description: This unit describes the skills and knowledge required to plan and produce a body of two-dimensional (2-D) and three-dimensional (3-D) graphic design work in response to a variety of visual communication challenges. 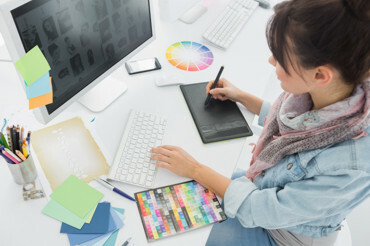 Design work will show a well-developed command of relevant software programs and the creative ability to generate ideas to meet the different needs of design briefs. It applies to individuals who work as graphic designers in a wide variety of industry contexts such as design studios, commercial printing, advertising, book and magazine publishing, television or the marketing division of any business. Description: This unit describes the skills and knowledge required to design complex publication layouts by combining creative design skills with technical software proficiency. It applies to individuals working in various industry contexts such as graphic design, commercial printing, advertising, publishing, television and marketing. At this level, individuals work independently and are responsible for the overall layout design. No licensing, legislative or certification requirements apply to this unit at the time of publication. Description: This unit describes the skills and knowledge required to develop an industry focus for graphic design practice and to adapt that practice to meet both current and emerging industry opportunities. It applies to individuals who are developing a graphic design practice to meet different industry needs. No licensing, legislative or certification requirements apply to this unit at the time of publication. Description: This unit describes the skills and knowledge required to use creative, technical and project management skills to produce a professional and innovative presentation of own creative work. It applies to individuals who maintain an up-to-date presentation package or portfolio of creative work. The presentation or portfolio may be physical or virtual. Description: This unit describes the skills and knowledge required to work with any type of photomedia professional creative practice. It applies to individuals who work in many media and disciplines and use photomedia for the creative presentation or documentation of work, or to create parts or the whole of a finished work. It may include still images, film, video, music or interactive content. This unit does not address the specialised skills needed by photo imaging professionals. No licensing, legislative or certification requirements apply to this unit at the time of publication. Description: This unit describes the skills and knowledge required to author a complete interactive media product, for example, an entire website. It applies to individuals who apply sound knowledge of mark-up and scripting languages to develop templates, themes styles sheets, forms and form objects for programmers and the technical support team. They may also use a variety of authoring software used to produce complex interactions such as digital simulations, games and puzzles. They work primarily on client-side technologies. No licensing, legislative or certification requirements apply to this unit at the time of publication. Description: This unit describes the skills and knowledge required to create a user interface for an interactive media product. It applies to individuals who respond to design specifications and generate a range of design options that incorporate user-centred design principles and comply with platform standards. They work in a team environment with some supervision or guidance. No licensing, legislative or certification requirements apply to this unit at the time of publication. Description: This unit describes the performance outcomes, skills and knowledge required to realise a coherent body of creative work. Practitioners integrate conceptual, technical and organisational skills to create work in their chosen creative form. This subject achieves competency CUVPRP501A Realise a body of creative work. Description: This unit describes the skills and knowledge required to take a design concept or solution to the implementation stage. The outcome of work could be a completed product, object, system or service, but is more likely to be a complete or partial prototype or model for the design. The focus of the unit is on a general knowledge of design techniques and processes, and practical application to a specific design context. It applies to individuals who implement concepts and solutions in response to a design challenge in any industry context. Description: This unit describes the skills and knowledge required to create mass print media advertisements that communicate key features of a product, service or idea to consumers. It applies to individuals working in a supervisory or management advertising role within an advertising team or media organisation who are primarily responsible for development of mass print advertisements. Individuals undertaking this unit may develop mass print media advertisements themselves or coordinate a team to produce the advertisement. Description: This unit describes the skills and knowledge required to use drawing and other visual representation tools to develop, refine and communicate ideas for creative work. The unit focus is on manual drawing development and refinement, and visual representation as cognitive tools in a professional practice, rather than a particular level of drawing technique. It applies to individuals who are professional practitioners working in any area related to visual communication using drawing and other visual representation tools to support their practice. Description: This unit describes the skills and knowledge required to incorporate, and edit, digital video into interactive media presentations. It applies to individuals who possess a sound knowledge of digital media, are independently responsible for the workflow process and provide support and supervision within a team. Description: This unit covers the skills and knowledge required to prepare, deliver and review a presentation to a target audience. This unit applies to individuals who may be expected to make presentations for a range of purposes, such as marketing, training and promotions. They contribute well developed communication skills in presenting a range of concepts and ideas. Description: This unit describes the skills and knowledge required to prepare audio assets for inclusion in broadcasting, games and interactive media. It applies to individuals who prepare and package audio content into formats appropriate for various media distribution channels and interactive products. Description: This unit describes the skills and knowledge required to interpret and creatively respond to a design brief through the production of work. It applies to individuals working in any industry or design context where work is prescribed by a commissioning agent/client in a brief. Individuals are required to integrate the creative, communication and planning processes that support effective response to a design brief. Work is carried out independently, although guidance is available if required. Description: This unit describes the skills and knowledge required to develop and extend skills as a practising designer. It applies to individuals who work as a designer, in any industry context, either independently or employed by an organisation. Designers must continually refine, develop and evaluate their own conceptual and technical skills. Research, experimentation and collaboration are key factors in this process. Description: This unit describes the skills and knowledge required to produce professional typography for a wide range of communication needs. Typographic design solutions may include advertisements, headlines, logotypes, signage systems, posters, charts or mass text applications. It applies to individuals who use a broad range of digital and print applications in many different graphic design industry contexts. No licensing, legislative or certification conditions apply to this unit at the time of publication. Description: This unit describes the skills and knowledge required to create and manipulate graphics using a combination of creative design skills and technical software proficiency. It applies to individuals working in various industries such as graphic design, commercial printing, advertising, publishing, television and marketing. Individuals work independently and create original graphics or work with graphic objects created by others. No licensing, legislative or certification requirements apply to this unit at the time of publication. Description: This unit describes the skills and knowledge required to work proactively with a client or commissioning organisation to develop and negotiate a design brief. It applies to individuals working in any industry or design context where the designer plays a key role in determining the scope and nature of work required. Establishment, negotiation and refinement of a design brief requires the integration of highly-developed creative thinking, communication and planning skills in a process that may not be linear. Adaptability and effective responses to change and new ideas are crucial. Description: This unit describes the skills and knowledge required to exploit the potential of typography to solve complex design challenges through research and exploration of advanced and specialised applications. It applies to individuals with a highly developed conceptual and technical understanding of type. They work in many different industry contexts including design studios, commercial printing, advertising, publishing, television and marketing. They work with two-dimensional (2-D), three-dimensional (3-D) and virtual applications. At this level, the designer is working independently, though is usually a member of a collaborative creative team. Description: This unit describes the skills and knowledge required to adopt a professional, commercial approach to graphic design practice.It applies to individuals who work autonomously across a diverse range of industry and community contexts. They could be employed by others in small or large organisations, operate as freelancers or set up their own studios. Description: This unit describes the skills and knowledge required to manage the process of taking a design from concept to final realisation or production. It has a strong focus on planning, implementation and monitoring skills, combined with a sound knowledge of design and production issues and challenges in a given context. It applies to individuals working in any industry context or design discipline who take responsibility for turning design concept into reality â€“ a product or service of value to the end-user. This person could be an individual designer-maker or a designer working as part of a larger design/production team. Description: This unit describes the skills and knowledge required to integrate environmentally sustainable approaches into creative art or design practice in order to reduce own ecological footprint across all areas of operation. It applies to individuals who work as artists or designers. Sustainability considerations apply both to activities within the practice and to the design of products and services that might be made, operated or used by others. The practitioner applies a self-directed approach to ensuring the sustainability of own creative practice. Description: This unit describes the skills and knowledge required to undertake a straightforward project or a section of a larger project. It covers developing a project plan, administering and monitoring the project, finalising the project and reviewing the project to identify lessons learned for application to future projects. This unit applies to individuals who play a significant role in ensuring a project meets timelines, quality standards, budgetary limits and other requirements set for the project. The unit does not apply to specialist project managers. For specialist project managers, the other units of competency in the project management field (BSBPMG) will be applicable. Description: This unit describes the skills and knowledge required to generate ideas for a public presentation of a coherent body of own professional creative work; then plan and prepare the presentation, including own work; and promote and evaluate it. It applies to individuals who are creative practitioners working in a range of different sectors. The presentations may be physical or virtual, and may include exhibitions, shows, competitions and performances. Description: This unit describes the skills and knowledge required to work with any type of photomedia professional creative practice. It applies to individuals who work in many media and disciplines and use photomedia for the creative presentation or documentation of work, or to create parts or the whole of a finished work. It may include still images, film, video, music or interactive content. This unit does not address the specialised skills needed by photo imaging professionals. Description: This unit describes the skills and knowledge required to author a complete interactive media product, for example, an entire website. It applies to individuals who apply sound knowledge of mark-up and scripting languages to develop templates, themes styles sheets, forms and form objects for programmers and the technical support team. They may also use a variety of authoring software used to produce complex interactions such as digital simulations, games and puzzles. They work primarily on client-side technologies. Description: This unit describes the skills and knowledge required to create graphic designs for branding and identity that convey key messages about organisations or brands and their underpinning philosophies. It applies to individuals who work in a range of industry contexts that include design consultancy, commercial printing, advertising, publishing, television or marketing. Graphic designers also frequently offer their services on a freelance basis. Description: This unit describes the skills and knowledge required to independently conceive, plan and realise professional graphic design work to meet the demands of complex communication challenges and graphic design briefs. It applies to individuals who work as designers in many different contexts including studios, commercial printing, advertising, publishing, television or marketing. They possess highly developed planning and analytical thinking and technical and creative capabilities. This subject achieves the Unit of Competency CUAGRD602 Originate graphic designs for complex briefs. a CIT Diploma will receive 24 credit points (1 year) towards the Bachelor of Arts (429AA). Students are advised to speak directly with UC in relation to course choices and pathways.